Readers of Jeanne Shannon’s work find her “vitally rich and engaging” poetry to be imaginative, captivating, and meticulously crafted. 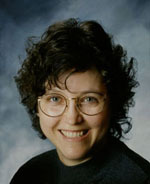 Her articles, poems, memoir pieces, and short fiction have appeared in numerous publications. 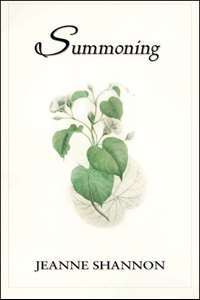 Summoning (Mercury HeartLink, 2015) is her newest book of collected poems. You can find Jeanne on her Amazon author page. How do you describe Summoning? Summoning is a collection of poems and hybrid works—that is, pieces that blur the boundary between prose and poetry. Historically, poetry has been thought of as a rigid structure to hold the movement of the poet’s mind. At the very least it had to be broken into rather short lines and “look like a poem.” But that has changed with the acceptance of the prose poem and the lyric essay into the poetry family, and I am drawn to writing in those forms. I hope readers will experience some of the poems as paintings in words, and just enjoy the language—the way the words “bounce off each other”—and the imagery. That they will be reminded to pay more attention to the natural world, particularly the plant life, that is all around them. That they will feel free to attach their own meaning or significance to the poems that may not seem particularly accessible. I hope readers who also write poetry will feel more liberated from conventional ideas about what a poem must be, and will be inspired to experiment with different ways of shaping their creative expression. It was difficult to decide where in the book to put certain poems that seemed to fit into more than one theme. And I had a few other poems that didn’t seem to be appropriate for any of the sections, so I put them aside for a future collection. What inspired me was reading poems in two books my family owned. One was a collection of classic poems, One Hundred and One Famous Poems. The other (which I preferred) was The Lyric South, a 1924 anthology of poems by Southern poets that my mother had studied in college in Virginia where she and I grew up. The first poem I wrote was about “the people sleeping” in the graves in Bruton Parish Churchyard in Williamsburg, Virginia, where I had never been. It was inspired by a poem on the same theme in The Lyric South. I promptly copied it out on lined Blue Horse notebook paper and sent it to Grit newspaper without a self-addressed stamped envelope. Needless to say I got no reply. That was around the time of my eleventh birthday. By then I knew that writing was what I was going to do. Maybe I knew that even earlier, at age six or seven, when I wrote the life stories of the animals on our farm. When I was twelve I read Gone with the Wind and wanted to write a novel, but since I couldn’t think of a plot I decided to stick with poetry. How important is accessibility of meaning? Not very. At least not for me. For example, I did not major in English in college (chose music and French instead), so I never studied the “difficult” poems of T. S. Eliot such as The Waste Land and Four Quartets, but when I read them years later I was spellbound by the language, and I didn’t care what Eliot meant. In recent years I’ve taken classes on Eliot’s work and when the instructor assured us that such-and-such was what Eliot meant, I thought, “That’s plausible, but I still don’t care. It’s Eliot’s magnificent language that matters.” And I once read a remark attributed to Eliot to the effect that too much significance was being attached to what he is supposed to have intended when he wrote The Waste Land. Who are your favorite poets, and what do you admire most about their writing? Charles Wright is my favorite poet. He writes like nobody else. His poems have a sweet-and-sour melody, a jagged elegance. They jump-cut and loop back. His images are like no other poet’s—not only the images themselves, but also the way he juxtaposes and layers them. And I feel a kinship with him because much of his work has echoes of the upper South. He grew up in eastern Tennessee, not far from where I grew up in southwestern Virginia. Other favorite poets include Ronald Johnson, Denise Levertov, Jane Kenyon, Robert Hass, and Mark Strand. I am also drawn to the highly individualistic poetry of C.D. Wright and I was saddened by her recent death. She was not a member of any of the postmodern schools of poetry such as the Language poets,* but her work is not easily accessible. She was from Arkansas, and had a lot of that mountain-woman “rules be damned, I’ll do what I want to do” attitude—which I certainly have as well. Readers of Summoning will notice many references to science and to spirituality. I believe that the two are related, and that quantum physics can point toward the way that connection works. I read books about quantum physics and spirituality, as my biography on Amazon says. I probably started with Michael Talbot’s The Holographic Universe. Then I read Fritjof Capra’s The Tao of Physics, the 1975 book that brought the mystical implications of subatomic physics to popular consciousness for the first time. More recently I have read, for example, Amit Goswami’s The Physics of the Soul and T. L. Baumann’s God at the Speed of Light: The Melding of Science and Spirituality. *Language poetry, dismissed by some as “gibberish,” was a movement that appeared in the late 1960s and early 1970s. It emphasized the reader’s role in bringing significance out of a work and was at pains to avoid indicating any “meaning.” It saw the poem as a construction in and of language itself. Expression of emotion, use of musical language, and letting the poem “tell a story” were not permitted. While the movement itself is somewhat passé now, it opened the door for other kinds of experiments in poetry. For the second part of this interview, go to An Interview with Author and Poet Jeanne Shannon, Part 2.